Are Carry-In's Allowed? No, no outside food or drinks are allowed inside the grounds. We will have security checking bags. Can I bring a lawn chair? Yes, you may bring chairs and blankets to sit in and watch the balloons & fireworks! There are tables and chairs for eating your ribs and food. What hotels are close? Please view our hotel page HERE to view which hotels we are working with! Where and when does the shuttle run? The shuttle runs from the 400 Block, by the Grand Theater, to the Airport and back. It runs Thursday 5-11pm, Friday 5-11pm and Saturday 11am-11pm. We highly encourage people to use the shuttle as parking is limited. CLICK HERE to view the shuttle bus map and stops! Where can I park? . Handicap Parking is available at Airport Park. There is also general parking available in lots near the Airport Terminal or on the neighborhood streets. Be prepared to walk a ways to the event if driving your car. We highly encourage you to take the free shuttle. Where is the Wausau Airport? The airport is at 725 Woods Place, off of Lakeview Drive which is connected to Grand Ave.
Is there a cost to get in? No, this event is a free entry event. There are costs for food, beverages, and kids games and rides. Do the balloons always fly? No. Hot air balloons are very delicate and require just the right amount of wind. It may seem like a calm day but the weather is always a factor in deciding if the balloons will launch. Safety is our priority. When are the fireworks? The fireworks are Thursday, Friday and Saturday night at dusk. Can I ride in a hot air balloon? Unfortunately this event does not allow for hot air balloon rides. There is a time when kids are invited to meet a hot air balloon pilot and explore the basket. What happens if it rains? The event will continue if it rains. I don't like ribs, is there other food available? YES! We have 12 food trucks that also are at the event the entire time. They offer a good variety of food. What times are the event? The event is Thursday from 5-11pm, Friday from 5-11pm, Saturday from 6am-11pm and Sunday from 6am-10am. Are there alcoholic beverages served? Yes! We will have a variety of beverages available. Everyone must show their ID to purchase alcoholic beverages. Alcohol purchases are limited to a maximum of two (2) alcoholic beverages, per person, per transaction. Any individual intending to consume alcohol is required to present proper identification verifying legal drinking age to designated event personnel. Upon confirmation of age, individuals will receive an “Over 21” wristband that must be worn while consuming alcohol on event grounds. Carry-ins are prohibited. Is there an ATM on-site? Yes, there is an ATM. Only cash is accepted at the event. Are pets allowed? No. The crowds are very, very big at this event (30,000 people attend). Please leave fido at home. Is smoking allowed? Due to the flammable propane the hot air balloons use, no smoking is allowed in the area near the balloons. We encourage everyone to smoke outside the event gates. Can I bring my own food/drink? No, unfortunately no carry-ins are allowed. If your question wasn't answered, contact us! 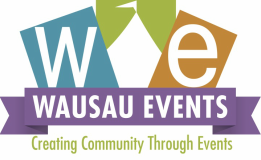 execdir@wausauevents.org and we will be happy to help. Inquiring the week of the event isn't a good idea as we are very busy running the event.